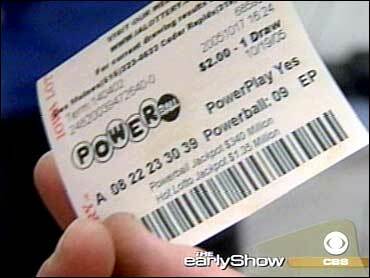 A Conover convenience store clerk inadvertently won a $200,000 Powerball prize after she rang up duplicate lottery tickets. Wadburn Allen accidentally printed the two tickets for a customer Tuesday. At the end of the day, after she was unable to sell the second ticket, Allen paid for the ticket herself. The next day, Allen returned to the store and found the ticket matched all five numbers — earning her a $200,000 jackpot. When Allen went to Raleigh to claim her prize, she again met the customer who purchased the original ticket. "They put two and two together and ended up hugging," said Pam Walker, a spokeswoman for the North Carolina Education Lottery. Allen hasn't yet decided how she will spend her money. Conover is about 170 miles west of Raleigh.